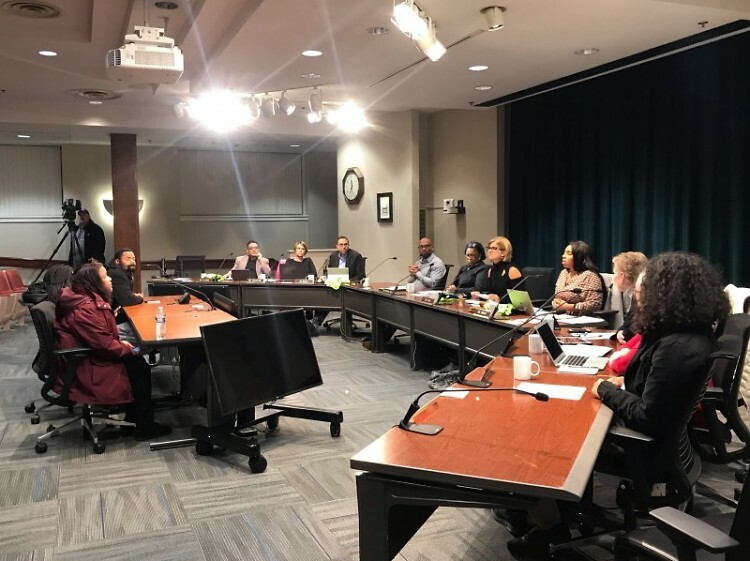 At the Grand Rapids Public School Board of Education meeting on Monday, November 19, 2018 community members including Passionelle McBride and Shaniqua Walker, mothers of the two boys who've accused a teacher of choking them, advocated for an independent investigation into the allegations. The Grand Rapids Board of Education held its bi-monthly meeting on Monday, November 19, 2018 at 6:30 p.m. in the Administration Building. Eleven community members spoke during the public comment time, most concerned with the investigations surrounding teacher Robert Spaeth, and incident at Westwood Middle School, and the continued heater problems at Union High School. Kent Hills Elementary school teacher Robert Spaeth has been accused of choking students twice in the last two years, most recently in October of this year. He was not disciplined by the Grand Rapids Public School district and transferred to Sibley Elementary School. The district said there was no evidence to substantiate the allegation. Security at Westwood Middle School was also recently accused of handcuffing and slapping a child in mid-October. Union High School has had problems with its heating since last April when two heat exchangers failed. The district had to use space heaters again this fall when another furnace heat exchanger failed in a differnt part of the building. Prince also said she was the temp secretary in the office the day the school security officer was accused of handcuffing and slapping a student at Westwood Middle School. 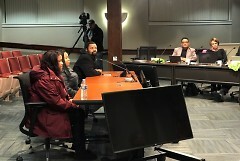 "Based on what I witnessed and heard that day I was surprised when I saw the news that the officer involved was cleared of any wrongdoing.” Prince says she heard the student say “Don’t touch me!” from the same room and yelling and screaming from the security office after he had been removed to the security room. Prince and others called for more security cameras at schools, especially in the security offices, and an independent investigation into complaints against teachers and school security, and a temperature check into the affected rooms in Union High School. This board meeting can be viewed on the school’s YouTube channel here. The next board meeting will be held Monday, December 3, 2018 at 6:30 p.m.